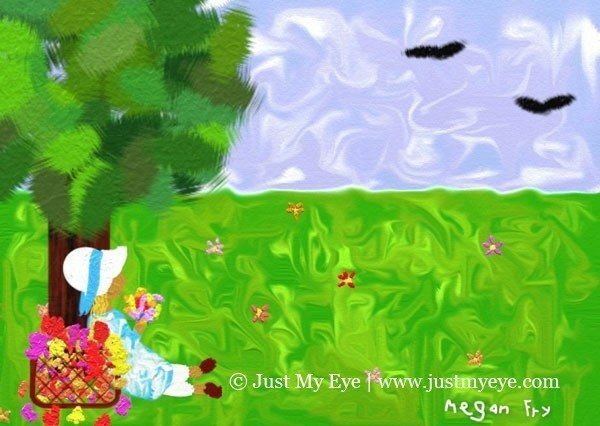 Megan Fry is a physically challenged artist from the United States. 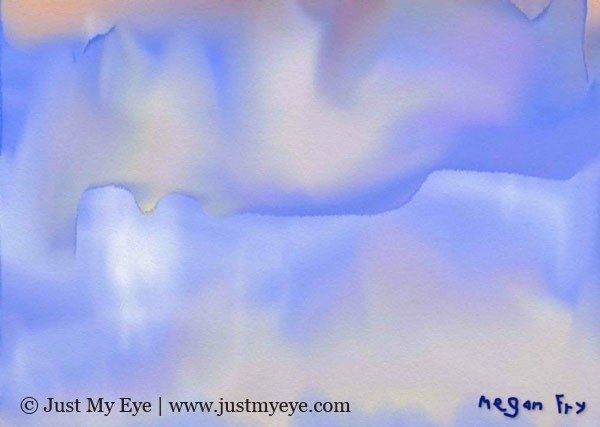 She paints a wide variety of subjects using only her eye movements, and manages to express a powerful range of emotions across her body of work. 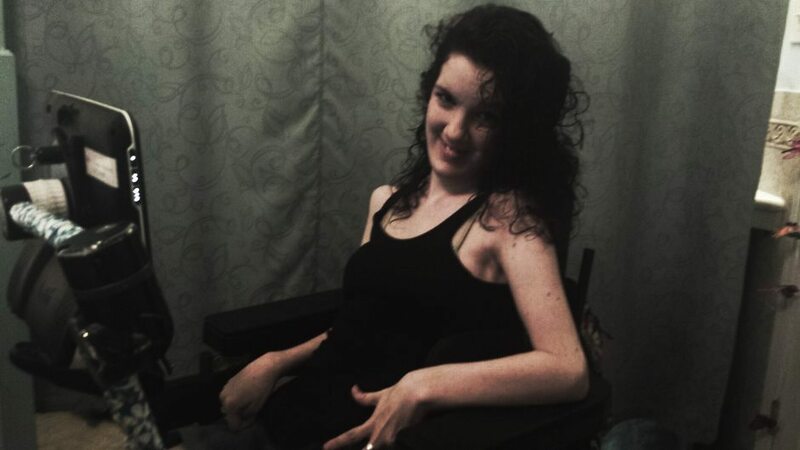 When I was born, I lost oxygen, which led me to have Cerebral Palsy (CP). CP effects the signal from my brain to my muscles. I am in a wheelchair for the majority of the day, and I use a device called a Tobii to communicate. It picks up my retina in my eye and when I look at a button and blink, it clicks just like a computer mouse. On this device, I can text, email, internet, skype, do my school assignments, and art. Basically, the Tobii lets me have total access to the world. 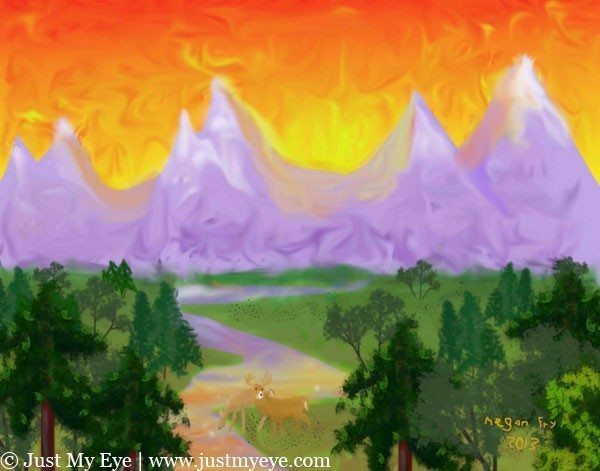 Megan Fry is an ArtRage artist who uses eye gaze software to paint. 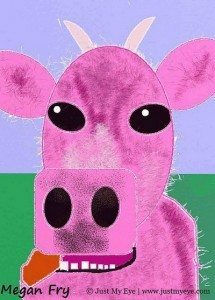 I have been using ArtRage independently ever since my 8th birthday. I always had been in love with art. When I was little, I loved to color with assistance. But I wanted to be able to do more to express myself. My grandmother ran across Artrage, and just had to get it for my birthday. I use Artrage because I don’t have any control over my hands. 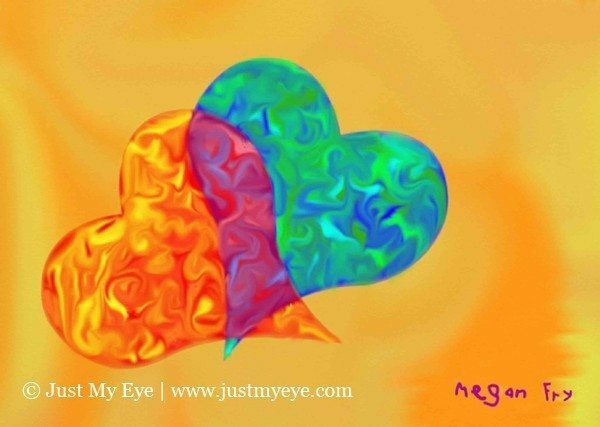 Artrage allows me to express myself with my eyes. How do you choose what to draw? Do you have a favourite subject? 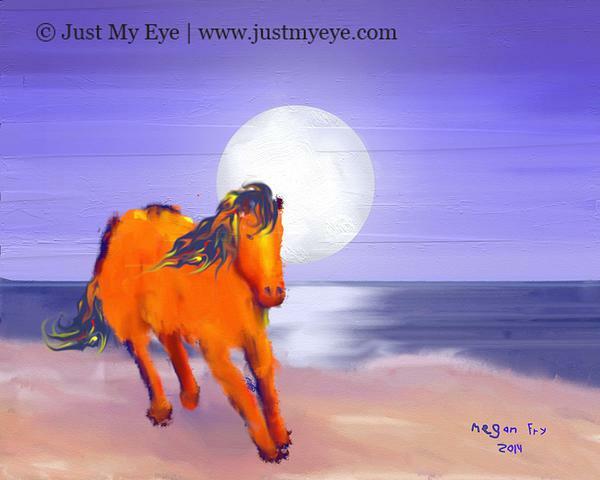 I love to paint horses because I ride every week. Also, horses represent freedom to me. 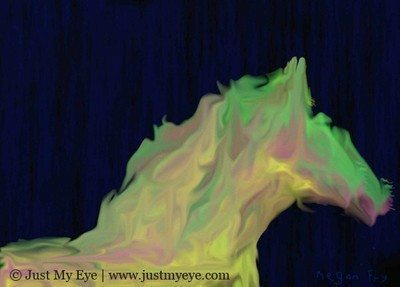 The energy of horses is very powerful, which is what I try to put into my artwork. Are you trying to tell a particular story/convey a certain meaning, or just basing it on what looks good? 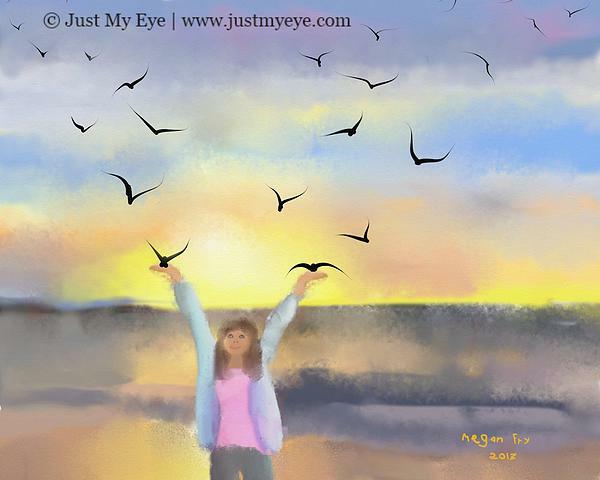 Most of my paintings have a certain vibe that represents me overcoming the challenges that life throws at me. Do you have any favourite works? Can you tell us about them? My favorite painting would be “Challenging The Moon”, because I have a lot of challenges, but no matter how big it is, I have the will to overcome them. I use ArtRage for the entire painting. I use the Palette Knife a lot to create my swirls, which are in every painting of mine. I always take advantage of the layers. I usually move items around, enlarge or diminish items, erase without having any effect on the background, and create a transparent item. Also, it helps me to press control on my keyboard to create a straight line. What hardware/software do you use to interact with ArtRage? I use a Tobii Dynavox with an eye tracker. With eye-gaze, you need to find the mouse control to be able to click and drag. Curious about eye tracking devices? Read more on the Tobii website. Would you recommend ArtRage for other people in similar situations? 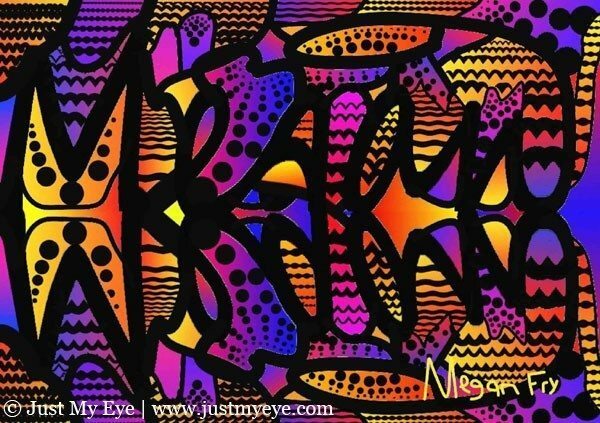 You can view more of Megan Fry’s work and purchase prints at www.justmyeye.com.